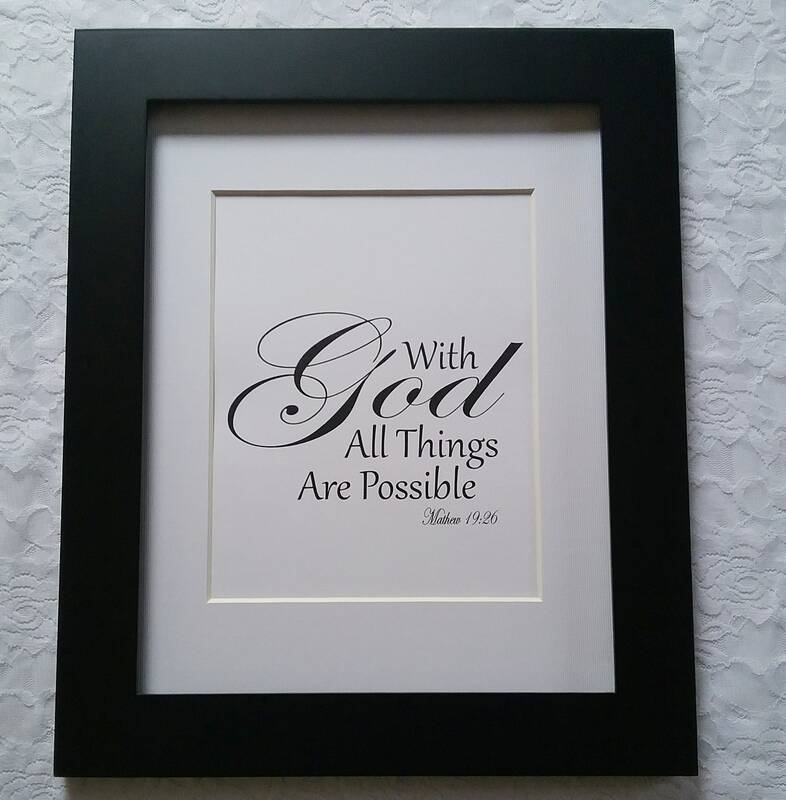 Bible Verse Art is a great way to remember scripture and decorate at the same time. 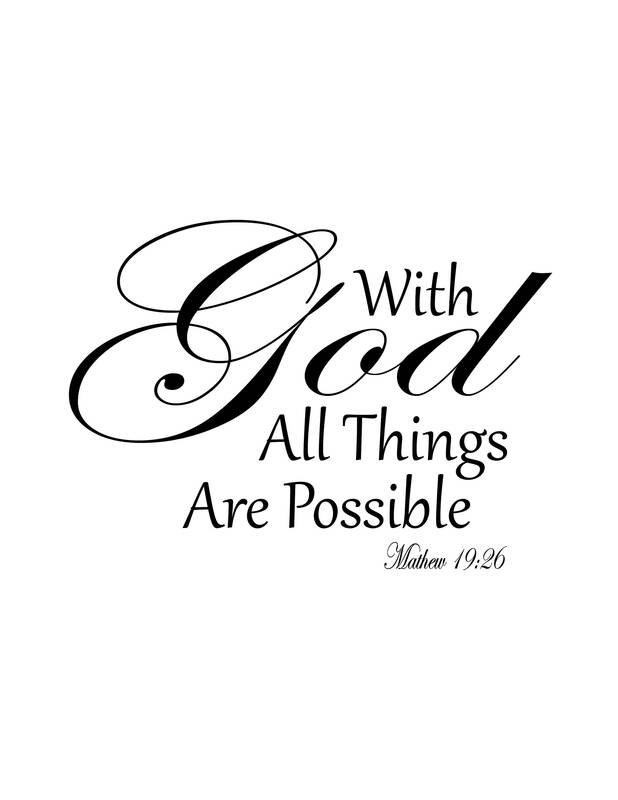 With God All Things Are Possible -Mathew 19:26 Wall Art is the perfect addition to any room and a great reminder. Color in this listing is Black.